← Who Is Marvin Gilmore Again? Well the Missus and I trundled downtown yesterday to catch Over Here: World War I Posters From Around The World and say, it was swell. The Boston Athenæum holds an extraordinary, but little known, collection of World War I posters. Consisting of nearly 1,800 posters from fourteen countries, this collection provides a unique graphic record of the War of Nations. The exhibition, Over Here: World War I Posters from around the World, timed to coincide with centennial observances of World War I, will feature highlights from the collection, including forty-four framed posters and cases filled with leaflets, postcards, and book and magazine illustrations. Boston is currently awash in World War I posters, from the Athenaeum exhibit to the MFA’s Over There! Posters from World War I to the Howard Gotlieb Archival Research Center’s Ardent for Some Desperate Glory: Remembering World War I at Boston University. Catch them all if you can. 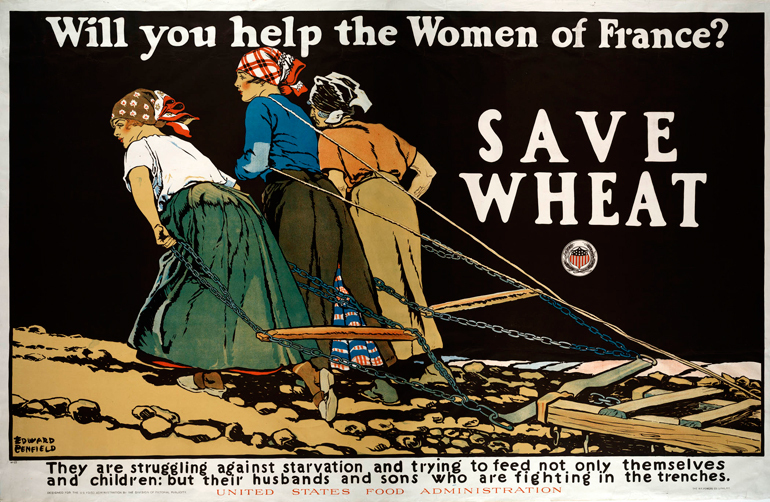 This entry was posted in Uncategorized and tagged Boston Athenaeum, Boston University, Howard Gotlieb Archival Research Center, MFA, Over Here: World War I Posters From Around The World, Over There! Posters from World War I, World War I. Bookmark the permalink.